We encourage the public to contact the following companies and organisations and express your concern about keeping orca in captivity. We ask that you please remain respectful and polite. However, that doesn’t mean that you can’t express yourself in your own unique way. It might be an email or a letter, a poem or a painting. You can encourage them to stop keeping orca and to move the orca that they have into seaside sanctuaries where they can be cared for in better conditions. 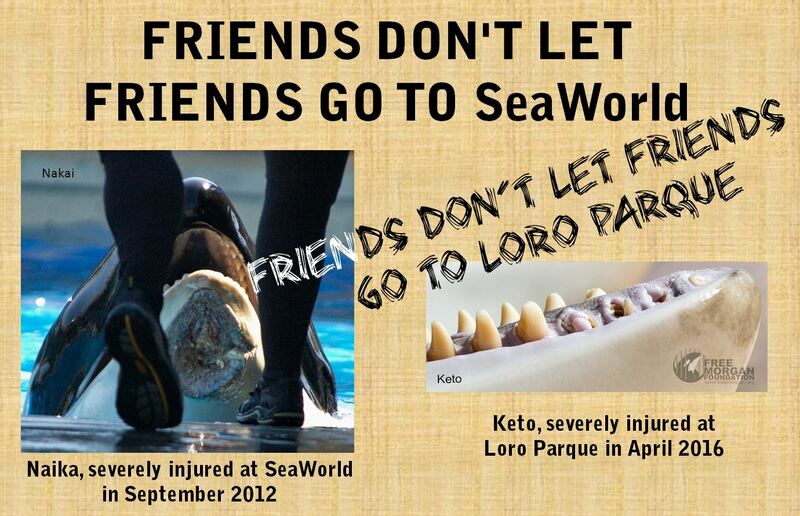 You can also ask them to request other facilities to stop breeding orca and to stop wild orca captures. We also ask that until these places no longer hold cetaceans (whales, dolphins and porpoises) in captivity that you do NOT BUY A TICKET. This is a very strong message you can send them. You vote with your wallet and the ONLY reason they are keeping these animals in captivity is to make money.